Metaphysical Properties for New Jade . New Jade is a stone of the heart and related to the heart chakra. It can attract good luck, balance emotions and encourage wisdom. New Jade is peaceful and nurturing and can relieve stress while aiding the recollection of dreams. 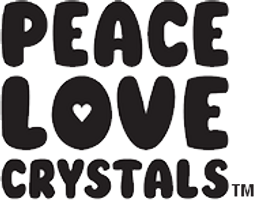 PEACE LOVE CRYSTALS Owl is approximately W4.4cm x H6.6cm x D3.5cm in size. Weight 165grams. This Owl comes with a free copy of our "Crystals & Minerals Metaphysical Properties Guide"*. The images shown are of the actual Owl you will receive. Please take note of the size described as images are close-ups so you can see the quality we offer. New Jade is not a jade. It is a light green variety of Serpentine that is called New Jade. Serpentine is a magnesium silicate mineral with a hardness 2 to 5.5.